Before jet planes there were cars, and before cars there were…trains. Since their inception over two-hundred years ago, trains have been an integral part of human history, carrying everyone from all walks of life, from orphans to presidents. Taking a train journey isn’t just about the destination, it’s about the adventure along the way. And while flying might get you there quicker, you miss out not only on seeing the landscapes around you, but actually being in them as well. Here is a list of five international train journeys that every traveler will want to experience. Consistently hailed as one of the world’s best train journeys, New Zealand’s TranzAlpine will take you from coast-to-coast on the country’s South Island. The journey begins in Christchurch, which after the devastating 2011 earthquake, has its own story to tell. Ornate stone buildings sit next to rubble still occupying vacated lots, while new modern architecture begins to rise above the wreckage. Before hopping on your train, check out the Cardboard Cathedral, a church that was built with the purpose of being a temporary replacement for Christchurch’s historic cathedral that was severely damaged during the quake. Since the Cardboard Cathedral was intended to be a temporary replacement, it’s made of common objects including raw plywood, shipping containers, and, giving it its name, cardboard. It has since become a famous New Zealand landmark and still brings the city together to this day. After departing Christchurch you’ll pass through the Canterbury plains as you make your way to the foothills of the Southern Alps. Then you’ll ascend up the mountains into Arthur’s Pass National Park. The train allows you a stopover at any of its eight stops. And at more than 3,000 feet above sea level you’ll want to spend some time in Arthur’s Pass so you can see the beauty of the mountains. Your journey will continue through the high-altitude tundra, down into Moana, and conclude in the west coast fishing village of Greymouth. Track length: 139 Miles (223km) Journey Length: Around 5 hours. 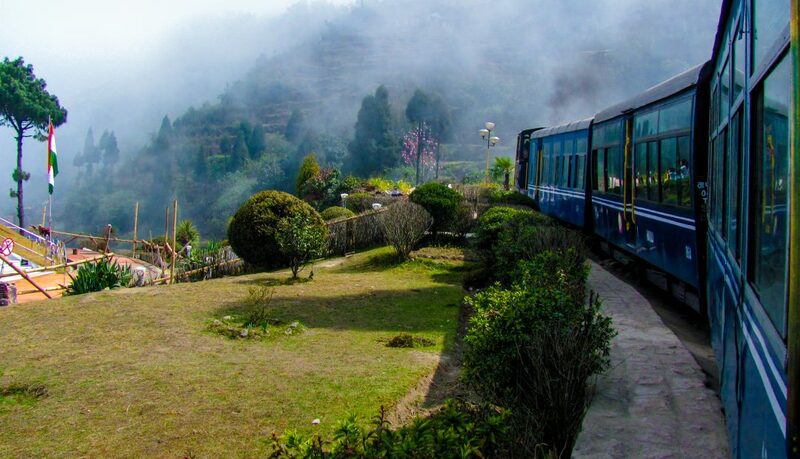 Taking a ride on the Darjeeling Himalayan Railway is a literal history lesson. Since its opening in 1881, the train has been taking passengers from New Jalpaiguru up to the world-renowned tea region of Darjeeling. As a result of Britain’s obsession with tea, this train has even chauffeured dignitaries and royals to the region so they could experience it’s beauty and obtain the first flush of tea, which is the prized first picking of the season, believed to produce the finest brew. By the time you reach your final station, you’ll be 6,812 feet above sea-level. During your journey you’ll pass through small villages, meander through the green highlands, and scale mountainsides. This is quite possibly the most beautiful train journey on Earth. Did you expect an Amtrak train to be on the list? Trust me, if I hadn’t ridden this train myself and knew from experience, I probably wouldn’t believe it either. But here’s the thing: The Coast Starlight travels the west coast from Los Angeles all the way to Seattle. It’s slow like most Amtrak trains, but when you’re chugging through hillsides adorned with sagebrush and goldenrods, and traversing sweeping seaside cliffs, then by all means Amtrak take your damn time. The train is complete with a dining car and double-decker viewing cars with glass ceilings. 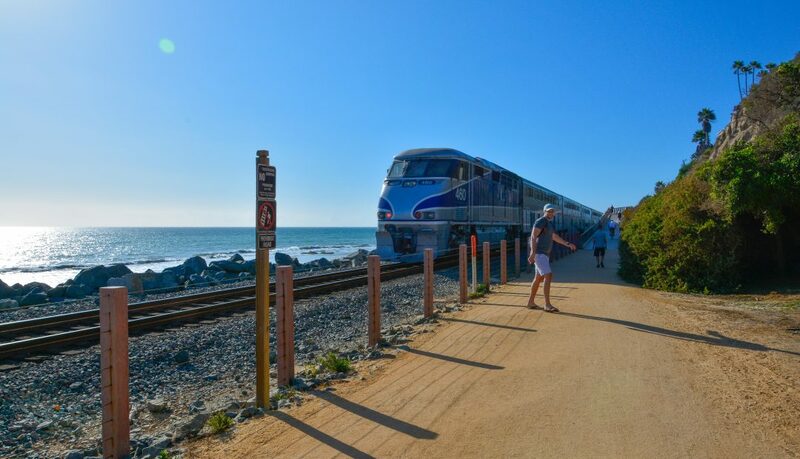 Assuming your trip begins in LA, you’ll experience the beauty of Southern California and see the coastlines of the Pacific until you hit San Louis Obispo. From there, you go inland through groves and rolling hills, until you reach the San Francisco Bay Area. After that you continue up into a much-greener Northern California, cross state lines into Oregon and the immense beauty of the Cascade mountain range, through to Portland, and all the way up to Seattle. Popular trip routes include LA to Santa Barbara, LA to San Francisco, and Portland to Seattle. What’s a great secret trip idea? 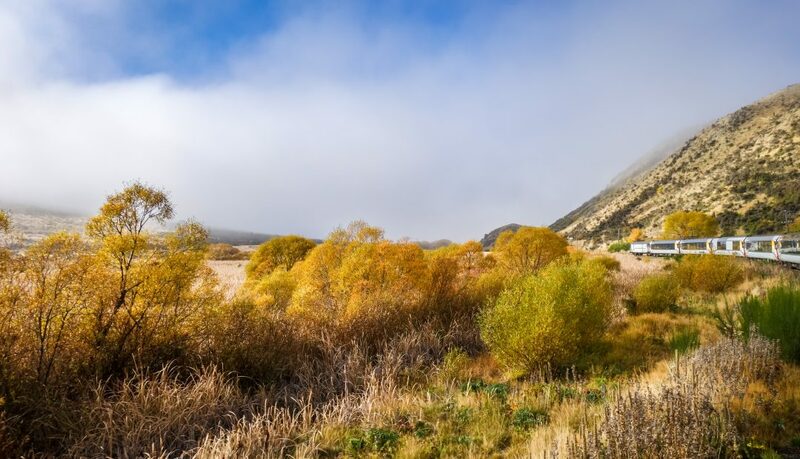 Get off at the Salinas station, rent a car, and head to the nearby Big Sur region. With its giant redwoods and oceanside cliffs, it’s one of California’s most awe-inspiring locales. Maybe slow leisurely train rides aren’t your thing. Maybe you feel the need…the need for speed. If so, then this train journey is for you. Just hop on one of China’s bullet trains in the ultra-modern metropolis of Shanghai. 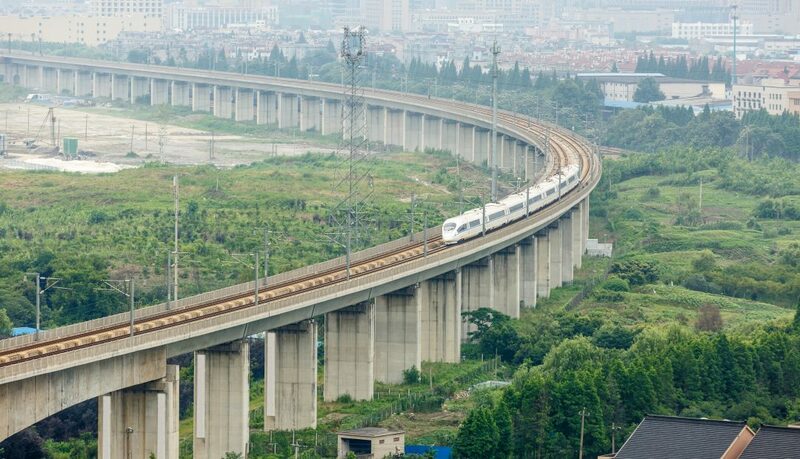 From there you can the travel the 105 miles to Hangzhou in as little as 45 minutes. This is because your train will be zooming along at 155mph (250 km/h). And even better, because of the high speeds, they keep the train sequestered from its surroundings by elevating the railways. This helps others because there won’t be a train speeding at 155mph slamming into a car, and it helps you because you now have a completely uninterrupted view of China. Once In Hangzhou, you can visit the famous Westlake and it’s gardens, or head to the nearby Longjing tea region to escape modernity. Want to put some extra zip in your journey? When you arrive in Shanghai, skip the cab and take the maglev from the airport into the city. The Shanghai maglev is the fastest commercial train in the world, hovering (yes, literally hovering) at a speed of 268 mph (431km/h). 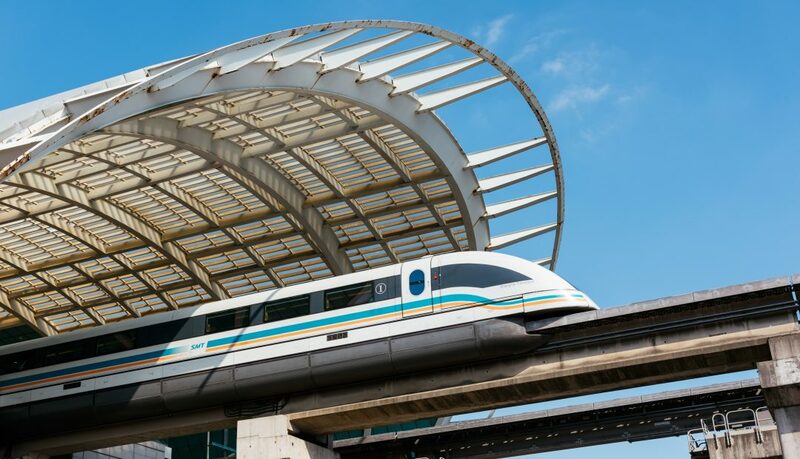 While taxis stuck in traffic take over an hour to make the journey, the maglev can get you there in 7-8 minutes. Scandinavia is one of Earth’s most pristine regions. 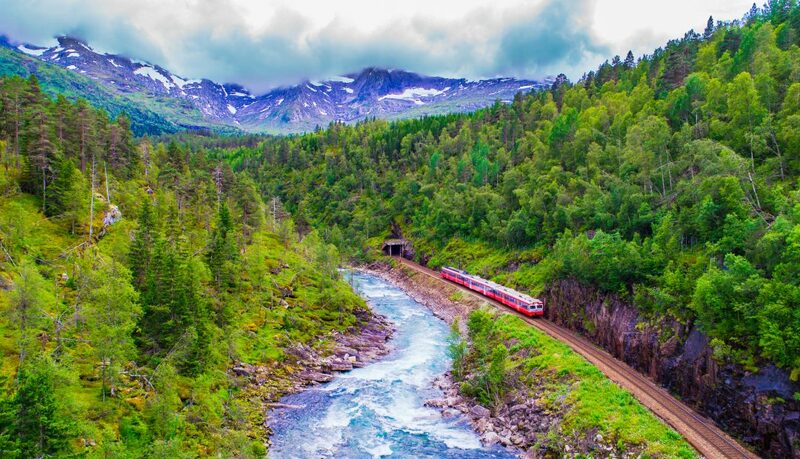 On the Rauma railway in Norway, you’ll be able to explore the full glory of Northern Europe’s environment. The trip begins in Andalsnes. From there you roam through deep fjords, mountainous terrain, babbling creeks, over waterfalls, and into quaint villages. The route looks so surreal you’ll feel like you’re in the middle of a movie set…and that’s because you are. The Rauma railway was used for scenes in Harry Potter. If you make the journey in winter, your trip will look more like a scene from Narnia, as you pass untouched pristine snowfall, crystalline rivers, and snowpack-covered mountaintops. Whatever season you decide to make your journey, rest assured, you won’t regret it.